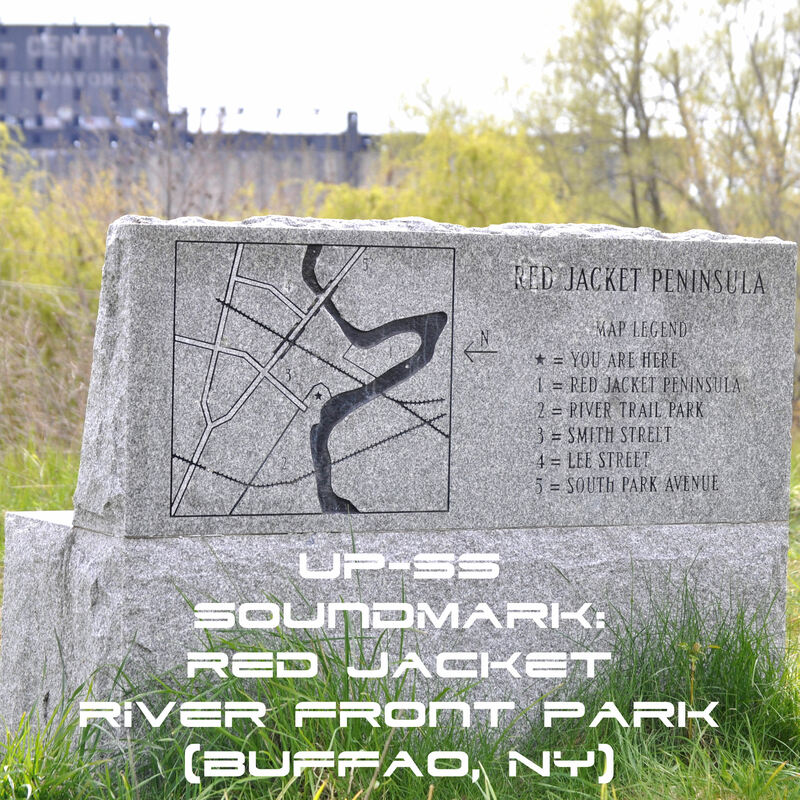 Description: Recording of a quiet day in a Red Jacket River Front Park, located in Buffalo’s Old First Ward. At the top of the park is a stone bench that overlooks the winding river and a crumbling concrete factory. Despite the departure of industry many years ago, the industrial noises of factories in the distance, along with passing trains headed elsewhere, still waft through the sound field and intermingle with the natural noise of birds and running water. An interesting soundmark.